 The Lay of Leithian (from The Lays of Beleriand / The Silmarillion) + Making Of "The Quest fulfilled"
I first encountered The Lord of the Rings and the works of J R R Tolkien in 1991. The book has had an enormous impact on me as it seemed to combine everything I had found fascinating, moving and above all inspiring in other works of literature in an epic narrative. Already the first lecture inspired me to create book-related artwork. 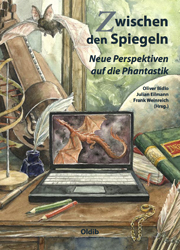 While studying at Bauhaus University I began taking illustrating Tolkien's works more seriously, and started publishing my paintings on the internet, which provided me with welcome feedback from and contact with other Tolkienfans, as well as organisations like the Tolkien Society, and Tolkien artists like Ted Nasmith and Alan Lee. 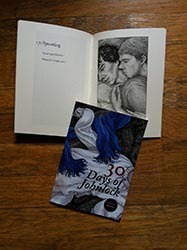 My artwork is exhibited regularly at meetings of these societies, is shown in their publications, and is used as cover-illustrations for publications by Walking Tree Publishers, who specialise on academic secondary literature about the works of JRR Tolkien. 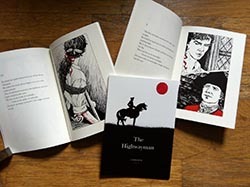 Other than the books themselves, my sources of inspiration come from history, nature, mythology in general, and of course the work of other artists, such as the Pre-Raphaelites, book-illustrators like Arthur Rackham, Edmond Dulac, Ivan Bilibin and Alan Lee, Art Nouveau, artists like Edward Hopper and Jan Vermeer, to name only a few. My preferred medium at the moment is watercolour. 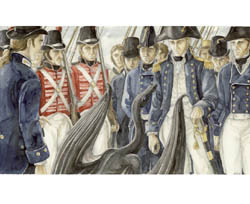 I consider it very appropriate for book-illustration because of its subtlety, its painterly quality and unpredictability, which enable the illustrator to suggest rather than dictate, and thus leave room for the reader's imagination. 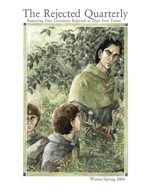 When illustrating Tolkien I try to avoid clichés often occuring in fantasy-art, such as pointed ears for Elves. I attempt to retain the realism the author creates in his works despite their mythological content. I use a lot of historical reference, especially when it comes to the authentical and realistical rendering of weapons, costumes and architecture, especially from early medieval periods in north-western Europe. The 16:9-format, which I have been using for my paintings since 1999, is inspired by cinematography, which has had an impact on the composition and lighting in my images. Yet despite film-aesthetics playing some part in the look of my artwork, I distance myself clearly from Peter Jackson's Lord of the Rings-movies. Instead, I concentrate on my own vision, firmly established long before the films were released. 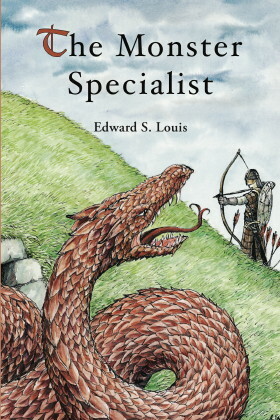 Above are links to the various series I created over the years, illustrating not only famous books like The Lord of the Rings, but also lesser known stories by Tolkien, mostly from The Silmarillion and Unfinished Tales. I like to concentrate on scenes and characters that are often overlooked by other illustrators, scenes not charged with great action or drama, but which for me contain the essence of the stories. Beowulf The creation of an illustrated edition of the Old English poem Beowulf was my final project of the BA (Hons) Art&Design-course at Colchester Institute, Colchester, UK. 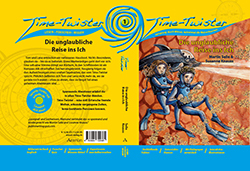 In 2009, the book was published by Walking Tree Publishers. Beowulf Alive is a live performance of the poem by Hannes Kaiser I created a poster illustration and interior illustrations for the text. 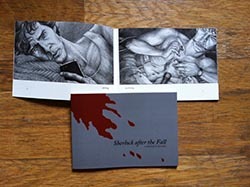 The Rejected Quarterly is a small literary magazine sold at universities along the westcoast of the United States. It specialises on good fiction rejected by publishers at least five times. I was asked to design a cover for the edition of winter/spring 2004, with a Tolkien- (and rejection-) related theme. Ghoststories of Herborn In the spring of 2004, I created a series of illustrations for a collection of historical ghoststories researched and written by Rüdiger Störkel, the historian of my hometown Herborn. Troy Motivated by the impending cinematic release of Wolfgang Petersen's epic movie "Troy" in May 2004, Heel-Publishers in Königswinter, Germany are publishing a special of their Sci-Fi magazine SPACE VIEW entitled "Troja und die Helden der Antike", written by Stefan Servos and Anja Arendt. 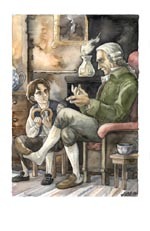 I was commissioned to create illustrations for the book. 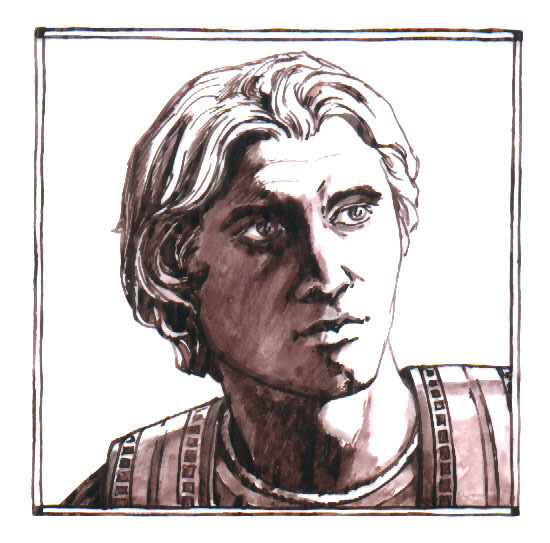 Alexander Following the "Troy"-commission, I was asked by Heel-Publishers to illustrate a book on Alexander the Great. "Alexander, Helden der Antike", again written by Stefan Servos and Anja Arendt. The book deals with the historical background of the famous Macedonian and provides infomation about the movie "Alexander" by Oliver Stone, which is due for release in November 2004. Consommé Althusius  Gedichte für Herborn Written by Johann Peter, this book is a lyrical, amusing and often quite critical walk through my hometown. 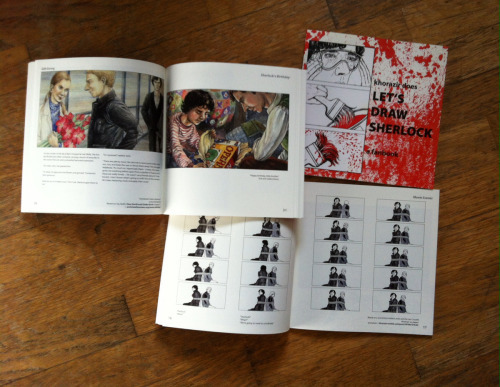 I contributed eleven ink-drawings as well as the layout. 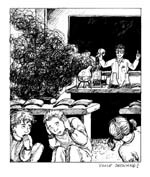 Schule macht Spaß compiled by former teacher Friedrich Graffmann: a book about funny episodes of school-life, featuring some ink-drawings by me. 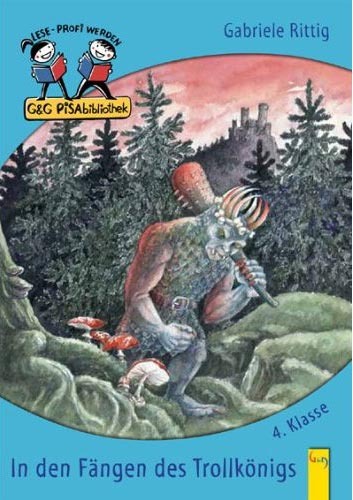 Greek Tales (Griechische Sagen) A children's book retelling classical Greek tales, which I illustrated throughout. Every day a new beginning (Jeder Tag ein neuer Anfang) A bible for children by Birgit und Georg Bydlinsk, illustrated by me. Princess Sisi (Prinzessin Sisi) A picture book about young Empress Elisabeth of Austria, by Gabriele Rittig. Fairytales from Austria (Märchen aus Österreich) A collection of fairytales from Austria, by Christa Schmollgruber. 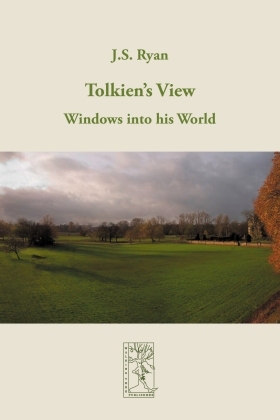 Tolkien's View: Windows into his world A collection of essays about JRR Tolkien and his works by Prof. JS Ryan, featuring a number of drawing by me. 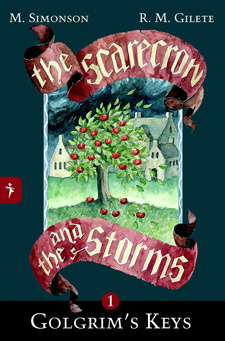 The Scarecrow and the Storms A series of fantasy books published by Portal Editions, featuring my artwork on the covers and also containing interior illustrations drawn by me. 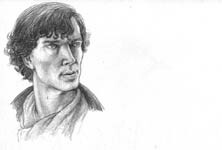 Sherlock (BBC) Fanart and designs in honour of the fabulous TV-series and related things. 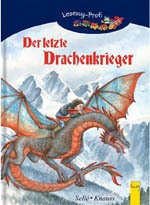 The last Dragon-Warrior Illustrations for a children's fantasybook about an adventurous dragonhunt in the Alpes. 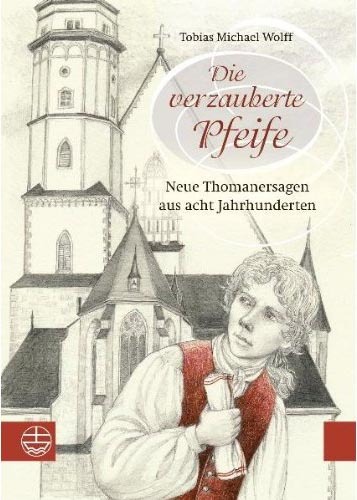 The Enchanted Pipe (Die verzauberte Pfeife) Illustrations for a collection stories about the famous Thomaner Choir of Leipzig. In the Clutches of the Troll-King (In den Fängen des Trollkönigs) Illustrations for a children's fantasybook. 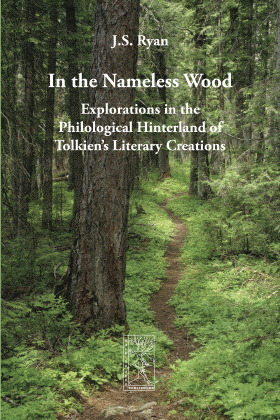 In the Nameless Wood Illustrations for a collection of essays by Tolkien scholar Prof. JS Ryan.